Kevin Bacon's Son Travis Bacon: Know about his Affairs, Dating Life, and Girlfriends! Popularity comes hard to many. But for some, being merely a celebrity's child suffices. 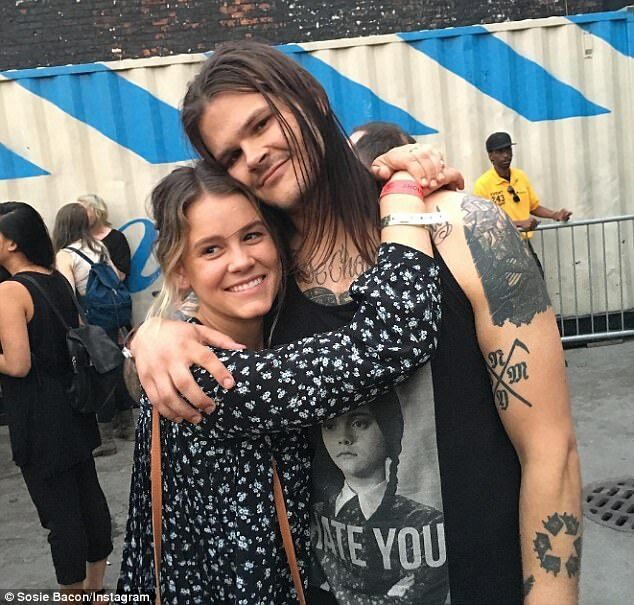 Travis Bacon, a rock musician and the only son of Kevin Bacon and Kyra Sedgwick, has reached stardom mainly by hitching a ride on his father's fame. The member of the metal band Black Anvil, Travis seems quite shy when it comes to his personal life. Unlike his parents, he rarely discloses his personal life, which has only piqued people's interest in it. So, is this rockstar-to-be dating anyone? Well, its time to know the affairs, relationships and sating history of Travis. Travis Bacon has become a heartthrob of many fans out there, especially girls. But, his silence regarding his relationships and affairs is driving his female fans crazy. People are just quite keen to know about Travis Bacon dating life and current relationship affairs. Well, being so famous and alluring should not always be the reason for having a girlfriend, even if everyone expects you to have one. Yeah, you guessed that right! Travis is not dating anyone as reported. It seems that he has not found the love of his life. Travis, who is trying to make his mark in the music industry, is officially single. That does not mean he is away from love, though. Travis is said to be extremely close to his parents, going as far as to attend the screening of Story of A Girl, a movie directed by his mother, in NYC. But Travis, the son of two celebrities, might have also learned a lesson from his parents' life about the perils of disclosing personal details to the media and decided to remain tight-lipped about his affairs. The future will tell more about the 28-year-old star. Until then, all we can do is wish him all the best. Also Read: Arnold Schwarzenegger' son Patrick Schwarzenegger take his girlfriend, Abby on a family holiday. Back in the day, when Kevin had just become a father, he locked his baby, Travis, in the locked car with keys inside. It was a moment of much agitation for both Kevin and Kyra. Luckily, any accident was prevented. The couple somehow managed to find a guy to break through the car window to take Travis out from the car. Lucky Travis!! In addition to playing the guitar for his band Black Anvil, Travis Bacon has also played in the 2005 movie Loverboy. It is the only movie he has acted in so far, and its cast includes all the members of his family. 16. Before that, he was in the band White Widows Pact. He recorded the song for Story of A Girl in 2017.